Capsules, as you may know, are a great way to make the most of a small wardrobe, save money on clothing items, and have a wardrobe you love to wear. 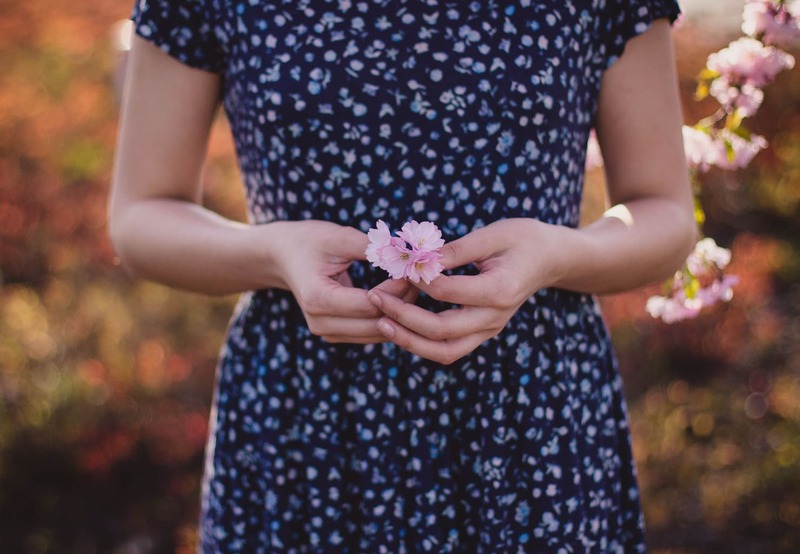 Capsule wardrobes should evolve with your style, and they can change throughout the seasons. Adding trends and seasonal items along with your favorite basics makes a capsule wardrobe interesting and fresh. Today we are sharing this spring’s capsule wardrobe along three outfits styling the capsule. I started off with the basics: a white tee, comfy mom jeans, all-white sneakers, and a trench coat. Next, I added seasonal items like spring florals, bright colors to welcome the warmer weather, and light outerwear. Lastly, I finished off the capsule wardrobe with a few of my favorite trends this season: polka dots, pastel colors, and dark denim. Striking a balance between basics, seasonal items, and trends creates a killer wardrobe that will keep your style fun and fresh while allowing you to remix the wardrobe for lots of outfit ideas. Too many trends and your wardrobe isn’t practical because it will be hard to put wearable outfits together. Too many basics and your capsule wardrobe is boring, lacking the spice of your personal style. Transitioning from winter to spring isn’t always so pretty. One day it’s cold, next it’s hot, and your closet gets confused. A light off-the-shoulder sweater is perfect for the transitioning weather. The sweater keeps you toasty and adds a tease of spring with the off-shoulder detail. 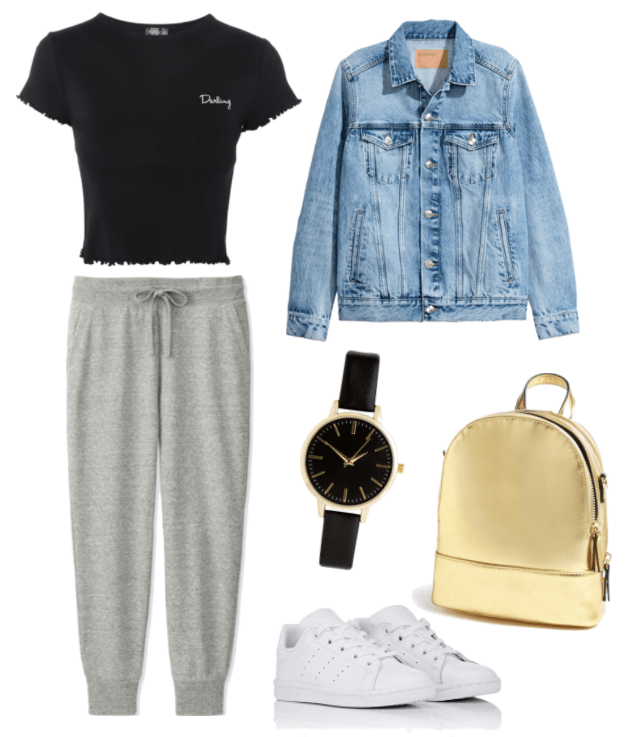 I kept this outfit simple with dark skinny jeans (true blues are trending this season) and a comfortable pair of Adidas sneakers. This outfit is a great everyday outfit for school. I love the juxtaposition of feminine and sporty pieces styled together. In this outfit I paired this flirty floral top with relaxed, distressed jeans for a fun contrast. Despite the different styles present, the outfit flows together. The blush heels keep the outfit dressed up which is a nice for a date night. The last outfit I kept causal and comfortable. Grey sweatpants can be styled so they look chic and not completely lazy. Balance the loose-fitting sweatpants with a fitted tee. I finished off the outfit with a denim jacket and classic all-white sneakers. Capsule wardrobes help you break down each outfit piece by piece. With the right balance of trends and basics you create re-mixable potential in your wardrobe. Start this spring off with a fresh start and a new capsule wardrobe. Do you like capsule wardrobes? 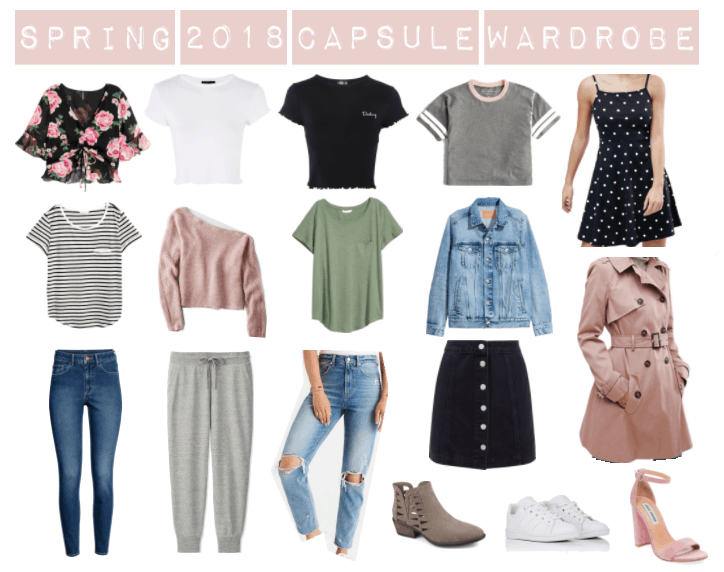 Any spring fashion essentials I missed in the capsule wardrobe? Let me know in the comments below!